Pula was occupied by the Romans and then by the Venetians. Romans left a large amphitheater by the harbor. 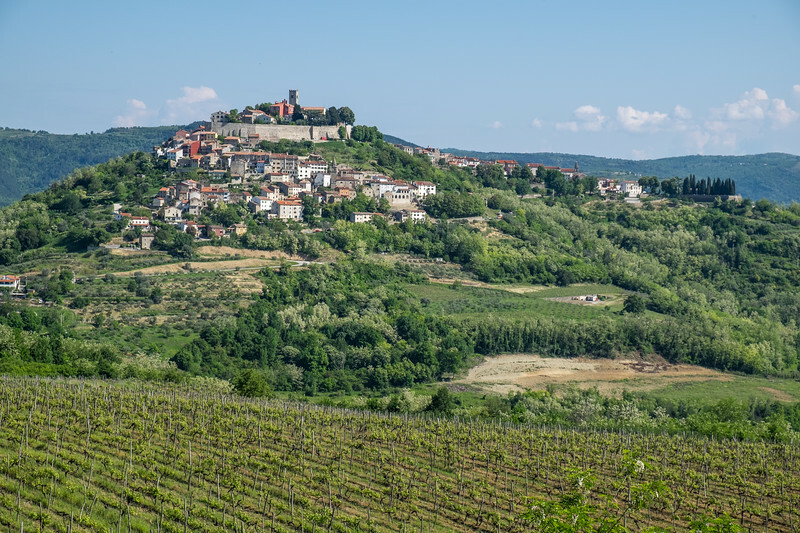 High in the mountains, Montevun was used by a fortress as it could be reached by river from the Adriatic. Curved oaks were useful for building their ships. Now truffles abound under those same oaks, and the town is full of truffle hounds and their owners, seeking them out!